How much do you spend on your kids toys? Well, pardon me if it sounds a bit silly question to you. None of us would like to make a definite comment in that but one thing that is common among all of us is it takes a bunch of dollars to bring your kids their favorite toys. This is an expensive world where each and everything is taxed and costs pretty high. So we have brought the savior here again. We are going to make a wagon from the scrap pallet boards. 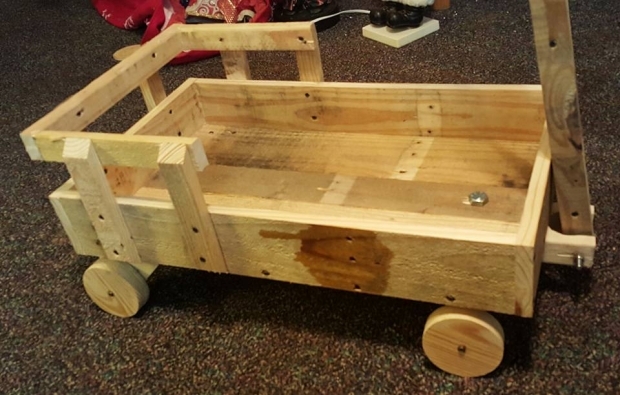 This pallet wood wagon would be a toy for your kids and trust me they would adore it. Childhood is not about enjoying the expensive gifts and toys, but it is about finding happiness in every insane thing, even if it is a pallet wood made wagon. Every crafter goes through a number of projects, and in every project he ends up having leftovers in bulk. We are going to utilize the same leftovers or scrap in making an insane toy for your kids. We would not like to spare even the scrap just like that as it is a challenge for our skill and pallet wood recycling. 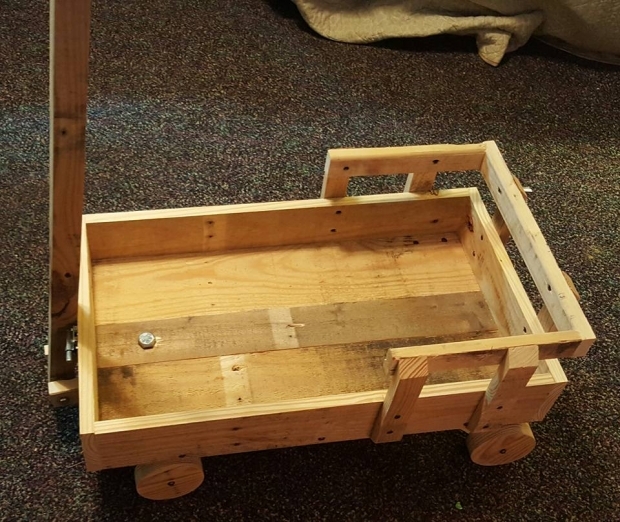 Here is the above discussed wagon made out of pallet board scrap. It looks like a carrier or a mere cart to deliver the goods from one place to another. 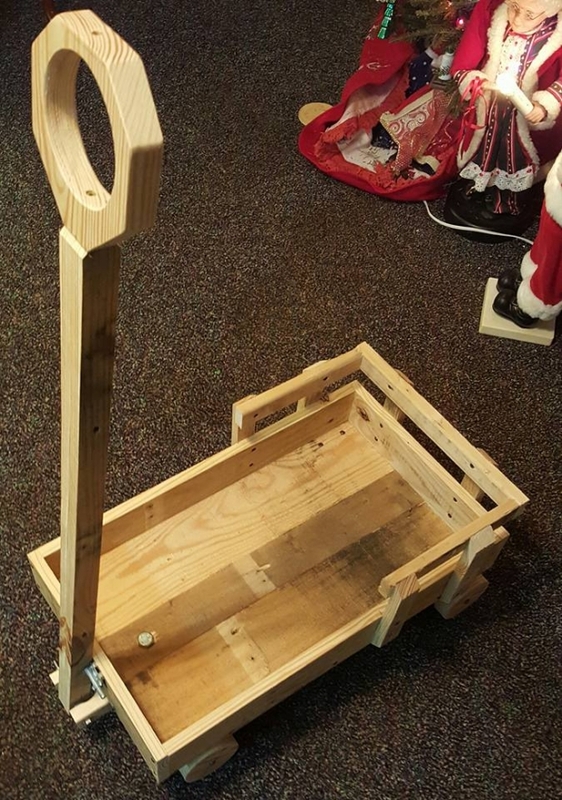 Very small pallet planks are used in making this pallet wood wagon that easily allow you to use the pallet board scrap that you were left with during the last pallet wood project. This certainly would be a silly yet attractive toy for your kids. Kids growing in countryside and rural areas would prefer to have this one. 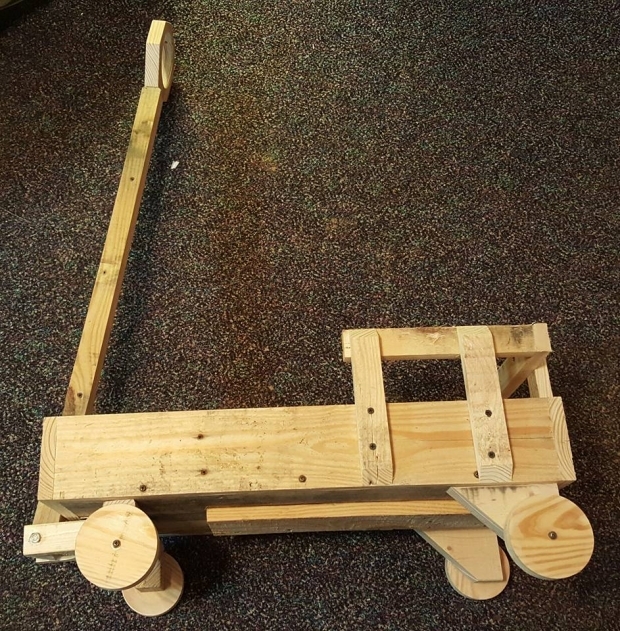 The whole structure, wheels, and handle is made using the scrap of pallet boards.